The pelvic laparoscopy is a procedure used in order to remove mild endometriosis. While the more moderate to severe issues of this is going to require individuals to have a much larger incision around the abdominal region, this procedure has an insertion that is far smaller and the doctor also has better access through the small incision. There is usually one or two small incisions in order to remove the endometriosis, although there are different reasons to have the procedure performed. Generally, there are two reasons to have the pelvic laparoscopy performed. The first is to have the endometriosis removed. The second is to see if there are signs of the condition. 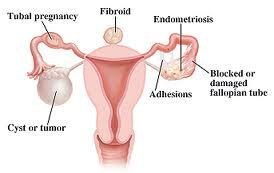 The sooner endometriosis is detected, the easier it is to remove and the better the results are going to be. Plus, if a doctor sees that the condition is starting to develop, they are able to use the same insertion points in order to reduce any sort of additional scaring that might occur. Following the procedure, a person is not able to eat or drink for eight hours, although the doctor might instruct the person to simply not eat anything for the rest of the day, depending on the time of the procedure. During the procedure, the individual is typically put under, although it is possible to remain awake, for those who are less squeamish. After surgery, it might take a day to recover inside of the hospital, but usually it is possible to return home and then to move back to a normal lifestyle of activities within another week or so, although older individuals might require a bit more time in order to recover. Either time, it is a far easier procedure that is not all that intrusive and can help protect the health of the person involved.